Example 26, In a survey of 400 students in a school,100 were listed as taking apple juice, 150 as taking orange juice and 75 were listed as taking both apple and orange juice . 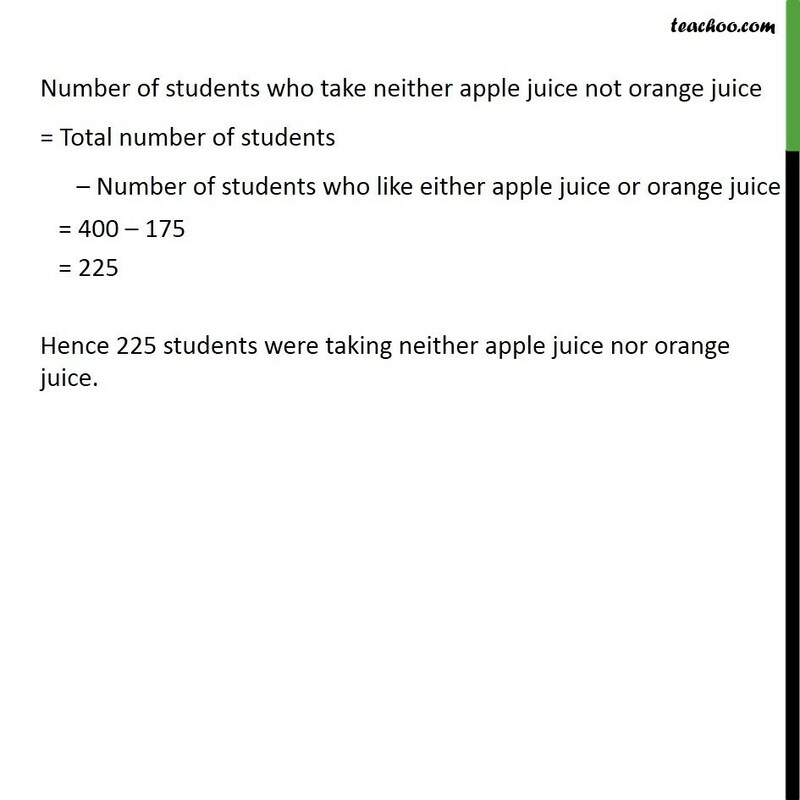 How many students were taking neither apple juice nor orange juice. 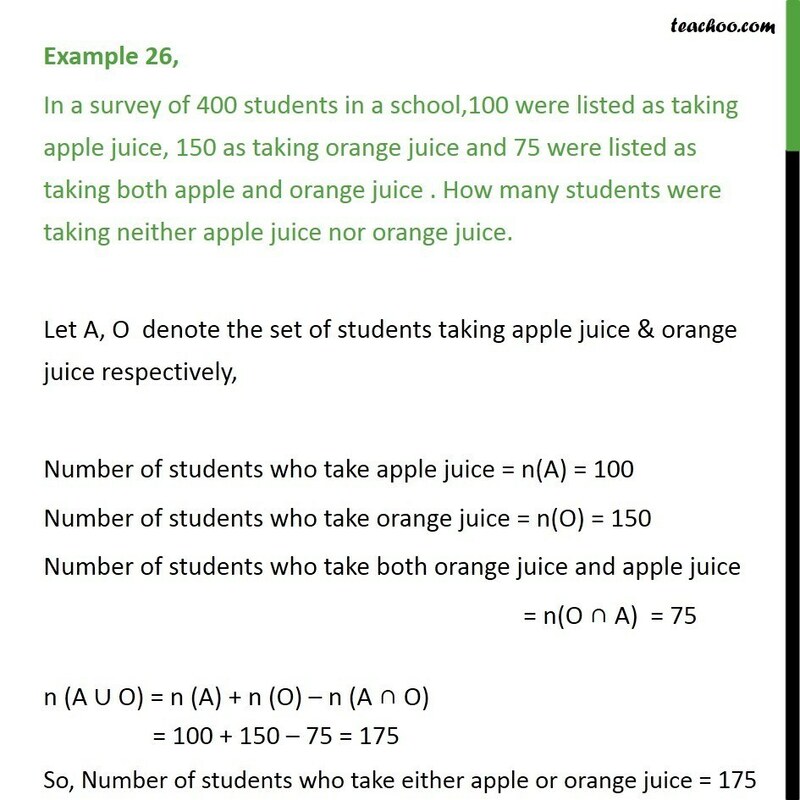 Let A, O denote the set of students taking apple juice & orange juice respectively, Number of students who take apple juice = n(A) = 100 Number of students who take orange juice = n(O) = 150 Number of students who take both orange juice and apple juice = n(O ∩ A) = 75 n (A ∪ O) = n (A) + n (O) – n (A ∩ O) = 100 + 150 – 75 = 175 So, Number of students who take either apple or orange juice = 175 Number of students who take neither apple juice not orange juice = Total number of students – Number of students who like either apple juice or orange juice = 400 – 175 = 225 Hence 225 students were taking neither apple juice nor orange juice.